In honor of Howard P. Milstein, an American businessman, philanthropist, and supporter of our mission, we are excited to have named the inaugural Howard P. Milstein Fellow at the 2019 National Meeting. The winning essay incorporates the shared philosophies of Howard Milstein, the Manhattan Institute, and the Adam Smith Society – the centrality of free markets to American culture, and the benefits of commerce for a thriving society. This fellowship is awarded to the first-year MBA student member who authors the winning essay in a competition among Adam Smith Society Members. 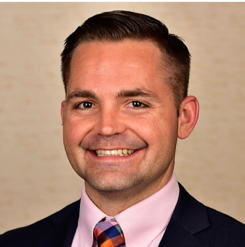 We are pleased to announce the 2019 winner of the Howard P. Milstein Fellowship is Marc Neilsen, MBA candidate at the Georgetown Univesity’s McDonough School of Business. Read his winning essay here.